RAID 10 “the striped mirror”. 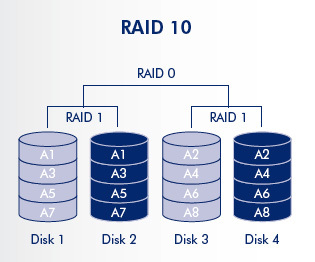 RAID 10 is a combination of RAID 0 and RAID 1. It has many benefits because you are achieving the performance of RAID 0 with the redundancy of RAID 1. In the image above you see a perfect exempt of how a RAID 10 array is configured. Disk 1 and Disk 2 are mirrored and then striped with Disk 3 and Disk 4. This provides performance and redundancy. RAID 10 can even support multiple drive failures as long as they aren’t on the same stripe. The only downside would be cost. 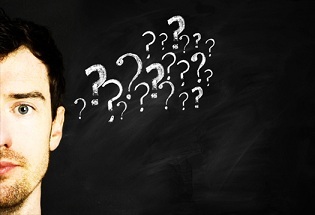 RAID 10 data recovery can be very difficult since every failed drive needs to first be repaired. The correct order is needed, block size, offset, and which drive failed first must be determined with hex. If you’re located in the Philadelphia area call us to schedule an appointment to bring in your RAID 10 drives for recovery or visit the shipping page for instructions on shipping the drives to us.